Cefalù is hard to resist. Her narrow, cobblestone streets are a charming labyrinth by which you’ll seek to encounter the elegant Arab-Norman cathedral (pictured) recently named a UNESCO World Heritage Site. 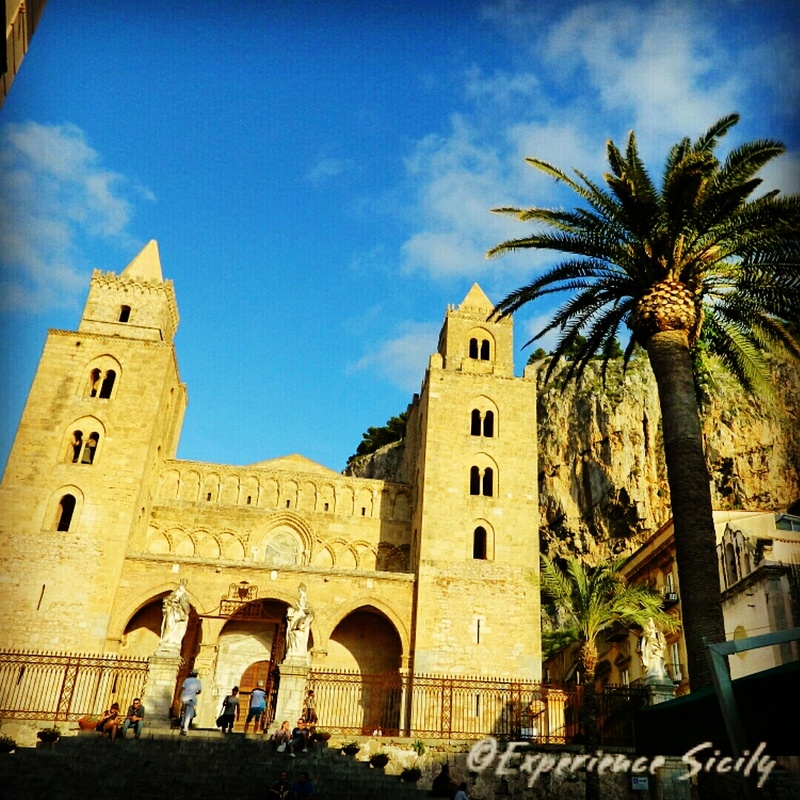 With her sweeping beach–like lace at the end of a woman’s stunning skirt–her boutiques–packed with rare finds and delicious gifts–and her medieval laundry–provoking images of singing women washing in unison… Cefalù will bewitch you on Day 5 of our May 19-31, 2016 Experience Sicily tour. Contact me at AllisonScola@ExperienceSicily.com today and together we can get lost in her alleyways (well at least until after lunch!). Cefalù sweeps you off your feet.